If you are a young immigrant who came to this country as a child you may be known as a Dreamer. Dreamers are children who were brought to the United States illegally when they were young. Many of them are adults now, some are in college and still others are youngsters. Dreamers are impacted by the latest political debate regarding DACA, Deferred Action for Childhood Arrivals. If you are affected by DACA you may need assistance from a Los Angeles immigration lawyer. Current laws are in place to protect Dreamers. These laws are in jeopardy of running out and Dreamers may have a limited time to resolve their citizenship. The problem is that Dreamers really know no other country than the United States, having lived here most of their lives. Their parents and likely many other relatives are all living here in the U.S. Therefore, they have no country to return to, but may be forced to leave anyway. It is important that you speak with a qualified Los Angeles immigration lawyer as soon as possible. There are a number of paths to U.S. citizenship and legal status here in the United States. As a Dreamer, you may want to start to consider the options that may be open to you. A Los Angeles immigration lawyer will review the details of your situation to help determine your choices. Then, you can begin to take action to resolve your legal status. There are a number of different types of immigration problems that may arise for immigrants. If you are in fear of deportation you need to take action as soon as possible. 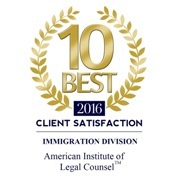 The best thing to do is discuss your concerns with a Los Angeles Immigration attorney. Your lawyer will answer your questions and examine the issues that are of concern. There may be some solutions to your situation. Rest assured that your lawyer will find every possible way to keep you in the country legally. Another problem that you may encounter is deportation. You could face potential deportation, especially if your visa expired or if you are accused of a serious crime or if you are in the country illegally. If any of these situations apply to you it is advisable to speak with an attorney as soon as possible. Your lawyer will help to review your particular situation and determine how to proceed. There are many confusing issues that are related to immigration and many of the laws continue to change. It is essential to take action sooner rather than later because sometimes obtaining a visa can be a lengthy process. You and your family may have questions about the process or about how to go about obtaining a visa. You can put your mind at ease and learn all the answers to your concerns when you meet with an attorney. Visit Becraft Immigration Law, the Law Office of Todd Becraft, to discuss the matter with an experienced and compassionate member of our legal team.